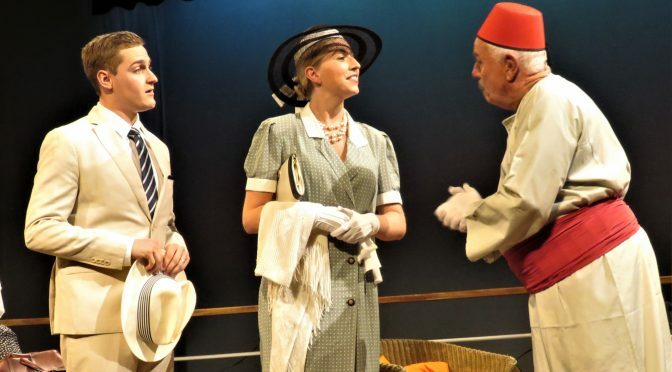 Hunters Hill Theatre Company starts off the year with an impressive production of Agatha Christie’s MURDER ON THE NILE. We spend two hours, including one interval, with Christie’s motley crew of characters. 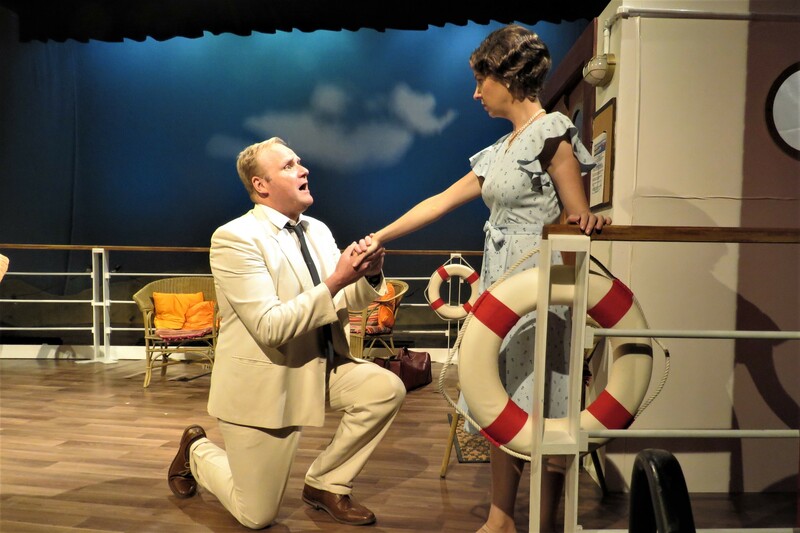 A murder takes place on board a cruise place on a cruise ship going down the Nile. 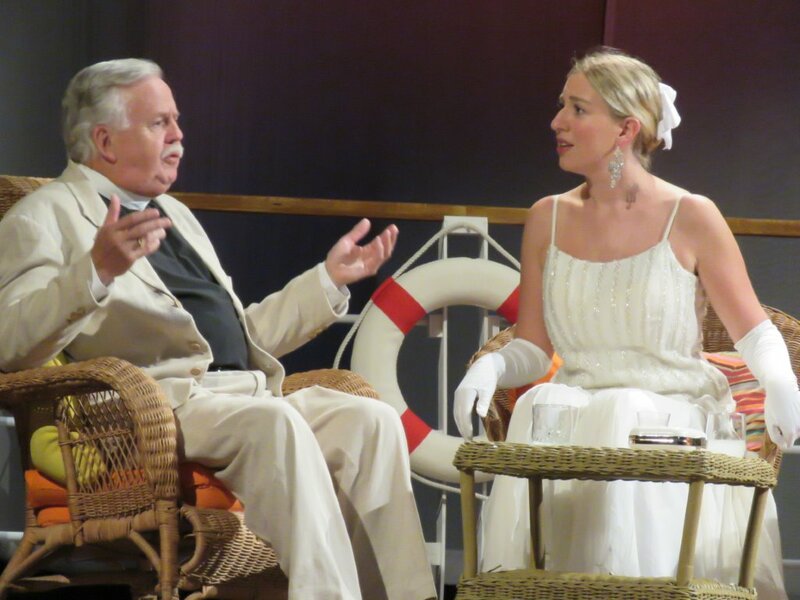 There is no Inspector Hercule Poirot on board so it is left to those on board to piece the pieces together and find the murderer before he strikes again. Jennifer Willison’s staging was excellent and she wins good performances from a cast who clearly relished playing in a Christie. Courtney Gibson and Blake Eaton play glamorous newly wed couple Kay Ridgeway and husband Simon. Courtney impressed playing the princess like, born with a silver spoon in her mouth Kay, as did Blake playing her handsome, mild mannered husband. Prudence Foxe is fun as their very french and overly dramatic maid Louise. Jan Johnson gives her imprint to the role of the impatient, indomitable Miss Ffoliot-Ffoulkes and Bettina Girdler gives a nicely judged performance as her demure, shy niece Miss Grant. In a rather cure part of the play the cultured, rather temperamental Smith, convincingly played by Todd Beilby, decides that Miss Grant would make a good wife and gets down on his knees and proposes her. A frequent player in the Sydney community theatre scene, Ross Alexander does well as the laconic Canon Pennefather, the busiest role amongst the cast. Darrell Hoffman played medic Dr Bessner whose medical skills were increasingly needed as the play wore on. 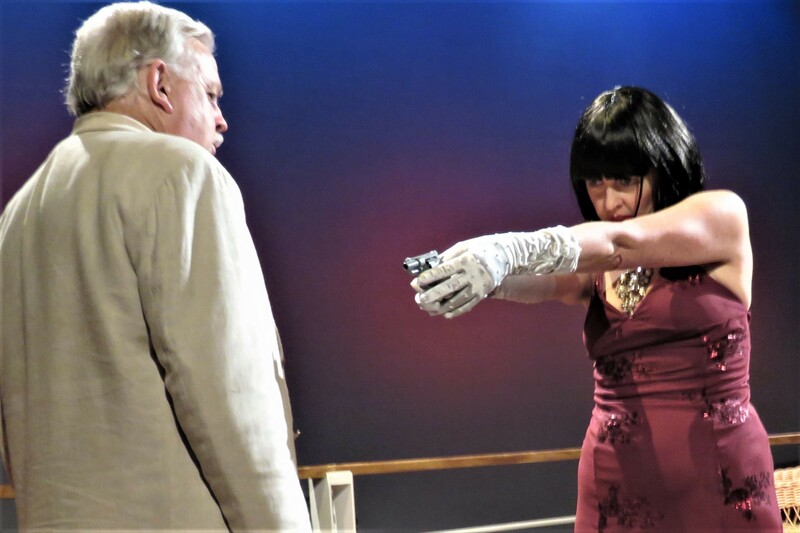 In her debut performance with Hunters Hill Theatre Company, Betrnadette Hook impressed playing the enigmatic Jacqueline de Severac, Simon’s jilted fiance out for revenge. Peter Gizariotis revelled in playing two roles, those of the pushy bead-seller trying to ensnare people in a purchase as they boarded the ship and a brief role as the concerned Captain as the ship tends towards chaos as the cruise turns deadly. Jim Burns played the busy Steward forever coming in and out as he coped with the demands of some rather pushy guests. There are enough red herrings to keep one engaged throughout the play. This is a good night in theatre. 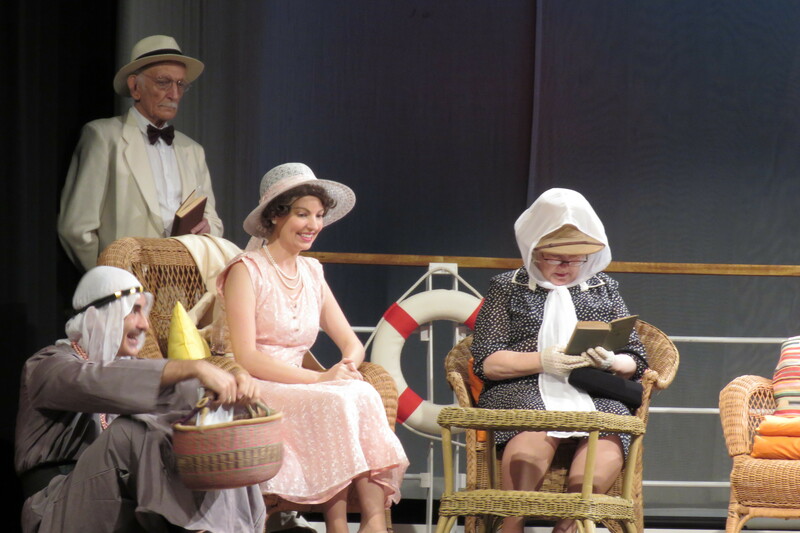 MURDER ON THE NILE is playing Hunters Hill Town Hall, 22 Alexandra Street, Hunters Hill until the 24th March. Performances are Fridays and Saturdays evenings at 7.30pm and Sundays at 2pm.